Prezi Presentation Template with female hands holding a red heart filled with icons. Good Prezi for the topics of love, friendship, valentine, speaking the truth, saying sorry or apologizing. 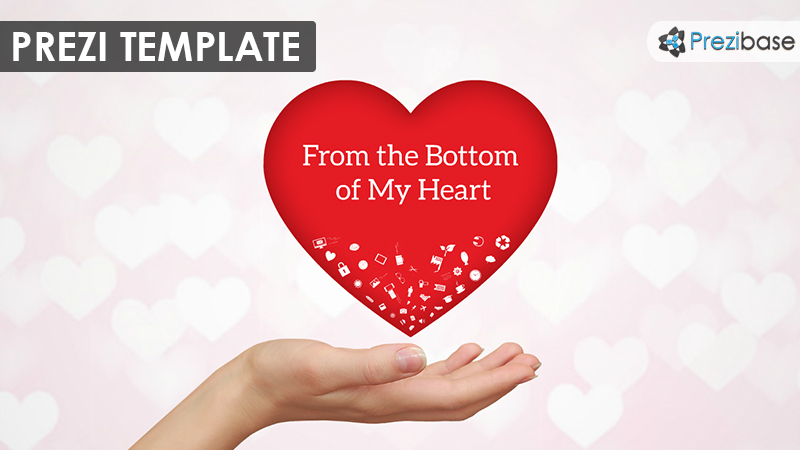 Whatever you love, do it with passion and show others how you feel with this template. Zoom into the bottom of the red heart, rearrange the icons or add your own symbols. Present about love, feelings, relationships, valentines day, soulmates. This entry was posted in Best Prezi presentation templates and tagged break up, care, caring, celebrate, feelings, female hand, friends, friendship, hand, hate, heart, heart in hand, i love you, love, love email, love letter, love mail, loving, red, relations, simple, sincere, sorry, soulmate, symbols, truth, valentine, woman hand.